Are You Noticing The Signs of Aging? • Sagging along the upper and lower eyelids, with crow’s feet developing at the corners of your eyes. • Vertical lines at the bridge of your forehead, and stress lines across. • Prominent vertical lines around your mouth and lips. • Loose skin around your jaw line. • Loss in elasticity throughout the face. Are You Looking For a Natural, Non-Invasive Remedy? Let’s face it, injecting toxins, acids and fats into your face, isn’t for everyone. While the cost and potential impacts of a surgical facelift requires a commitment that many patients just aren’t prepared to make. The truth is that these intensive options should only be a last resort for anti-aging. Patients looking for a proven therapy, which produces subtle long-lasting results, can be better served by more natural, non-invasive treatments. Although there are no fangs, or capes involved with this innovative anti-aging therapy, the end result may well leave your skin looking as youthful as Edward Cullen’s. Just as the name suggests, the Vampire Facelift involves the withdrawal of a small amount of blood from your body. This blood is then spun at high speeds through a centrifuge, to separate the fluid plasma from the white and red cells of the blood. This plasma fluid contains high quantities of platelets, a substance which is essential for collagen growth, skin cell renewal, and tissue regeneration. For two decades, top-tier athletes like Raphael Nadal have used PRP (platelet rich plasma) treatments as an essential treatment to aid in their recovery from serious injuries. PRP has also been widely utilized to heal serious wounds and scarring. Now, this blood-spinning technique forms the very cutting edge of non-invasive cosmetic treatments. 1. 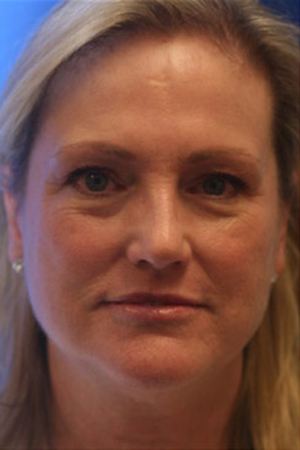 Dr. Ali works with patients to identify problem areas of the face and neck. 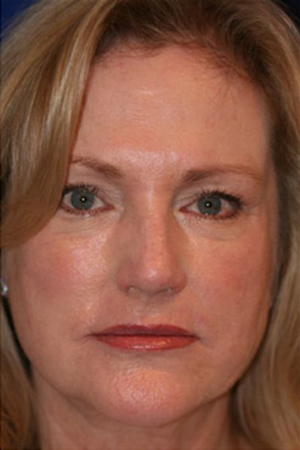 At this point dermal fillers may be used to restore volume and shape to the face. 2. After PRP is extracted, Dr. Ali bolsters the plasma with another dose of platelets. 3. An activator is added to the boosted solution to create a longer-lasting effect. 4. Very fine needles are used to inject the platelet-rich fluid back into the face, in accordance with pre-identified problem areas. 5. These tiny punctures essentially serve to trick existing stem cells in the skin into believing that an injury is present, the PRP is then used to produce new tissue in place of the “injured” skin. 6. Dr. Ali recommends three initial sessions across a three month span for optimal rejuvenation. Maintenance treatments are usually scheduled annually, often in conjunction with other treatments like micro-needling. • New blood cells form, which means better circulation throughout the face. This creates a healthier, more youthful glow and overall better tone throughout the skin. • Promotes the development of new collagen which adds elasticity, volume and fullness to the face. • New skin cells create a smoother, more even appearance. • Less wrinkles, acne and scarring overall. If you are in the market for a treatment that leaves you with a smoother face, neck and chest, that doesn’t involve surgery, and that can be repeated to maintain a youthful appearance, the vampire might be right for you. Contact Us today, to find out more.